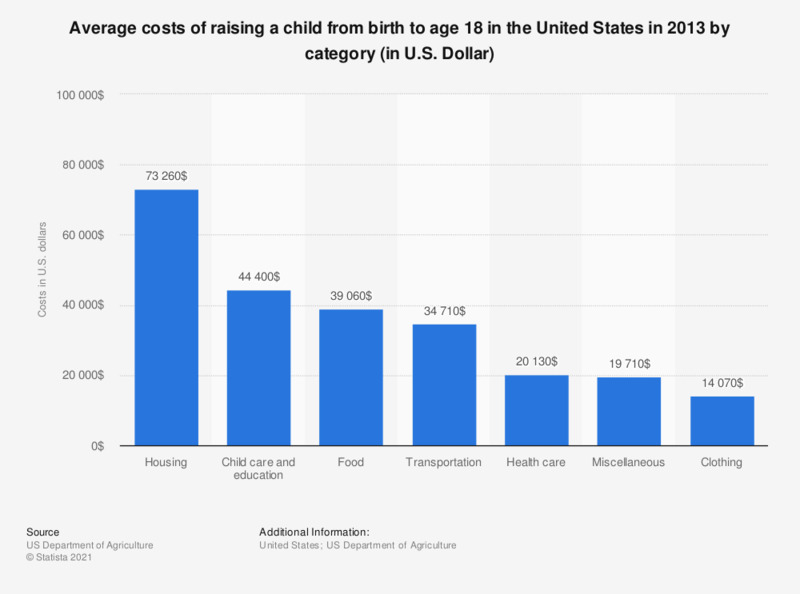 This statistic shows the average costs of raising a child from birth to age 18 for a middle-income, two-child, two-parent family in the U.S. in 2013. Nearly 45,000 U.S. dollars have to be paid per child for child care and education. The total costs of raising a child in 2013 amount to about 245,340 U.S. dollars. Which one or two of these reasons best describes why you have not used a parental control tool, program, or app to assist you in limiting or monitoring you child's internet usage? For which aspects of children's personal development going on holiday is an essential element? Would you say moving back in with your parents/living with your parents at this stage in your life has generally been good for your relationship?